Every parent wants their children to grow into happy, healthy and well-adjusted adults. However, there are some children who struggle with general shyness and social anxiety. These kids will be needing support especially from their parents to cope up with their conditions. Thankfully, there are a lot of activities and hobbies for children that will help improve their social skills. One of which is by enrolling them to dance classes. Here are the many ways dance can help your kids overcome shyness and anxiety.  It builds up your child’s confidence. Dance provides an outlet where your kid will be able to express his/her emotions freely. This is a great way to increase self-confidence and self-esteem. Enrolling them for dance classes is a smart move since they will be able to meet other children who they can relate to. 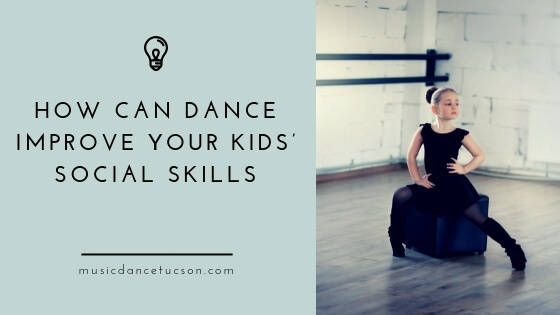 Because everyone in the class is learning how to dance, your child will be more at ease in practicing to dance without worrying if they are doing well or not.  Dancing with others makes your child feel closer to more people. When dancing, they are synchronizing with the movements of their partners or group mates. In time, they’ll create bonds with their colleagues without them noticing. You’ll be surprised how they’ll turn to be social butterflies in no time.  Through dance, your child experiences amusement and forget about worries. Dancing has proven to provide help with the symptoms of social anxiety among kids. By learning new dance steps along the way, they tend to overcome the fear of “not being good enough”. They’ll soon discover how talented they are as they master dancing in time.  Dance is also a good exercise. Exercise is generally good in building and shaping up your child’s outlook in life. Happy chemicals are released when they are more physically active, so they’ll be more cheerful while learning how to dance. What to Include in Your Little Dancer’s Meal Plan? Dont see what your looking for?